How do you manage your privacy in online dating? Chances are that if you use online dating or have considered using it, this is an issue you’ve given some thought. And you wouldn’t be alone, as privacy issues in online dating have appeared in the media—two summers ago, during the Rio Olympics, privacy in online dating made headlines when a Tinder user posted screenshots of Olympian’s profiles on social media, and a journalist collected identifying information about closeted gay Olympians through Grindr. In September, a journalist requested her personal data from Tinder and received 800+ pages including information about her Facebook and Instagram activity. And more recently, researchers have revealed security vulnerabilities in a number of online dating apps, including ways that users may be vulnerable due to sensitive information they disclose on the site. These events and others show that individual users can’t control all privacy-related risks when using online dating. To understand how users reason about privacy risks they can potentially control through decision making, Lab Ph.D. student Camille Cobb and Lab Faculty Co-Director Yoshi Kohno studied online dating user’s perceptions about and actions governing their privacy in “How Public is My Private Life? Privacy in Online Dating.” The researchers surveyed 100 participants about how they handle their own and other users’ privacy; then, based on themes raised in survey responses, they conducted follow-up interviews and analyzed a sample of Tinder profiles. Based on their survey of 100 online dating users, and interviews with 14 of those, the researchers found that when choosing profile content, looking people up, and taking screenshots of messages or profiles, users may face complex tradeoffs between preserving their own or others’ privacy and other goals. Users described balancing privacy considerations including the risk of feeling awkward, screenshots and data breaches, stalking, and their profile being seen by a friend or co-worker, with goals like getting successful matches, preserving information that may be sentimental if the match is successful, safety, and avoiding scams. 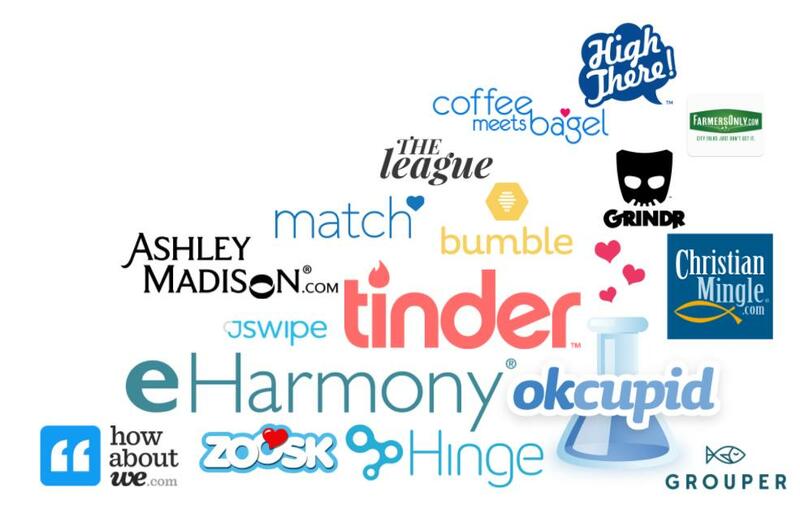 These tradeoffs are complex, and involve user’s privacy decisions beyond just the dating app. For example, a user concerned about privacy on social media like Facebook might change their name to something unusual or unique and hard to guess, but if a dating service pulls that name into a user’s profile, that unique name makes the user easier to find outside of the dating app. Beyond the name they used, users also experienced tradeoffs around the amount of information to include in their profile. Including more information could make users more easily searchable outside of the dating app, while not including any identifiable information could run the risk, in one user’s case, of being thought to be a bot. Focusing on users’ concerns about “searchibility,” or the risk of being identified elsewhere online, the researchers analyzed 400 Tinder profiles. Using techniques readily available and fairly easy for any Tinder user to use, event without technical knowledge, the researchers were able to find 47% of the users. And having an account directly linked to another account, or mentioning a username for another account in the profile, increased the chance of being found to 80%. These results support concerns suggested in the survey; the researchers were able to find a larger portion of people with unique names, echoing a survey respondent’s concern that having a unique name would make her more identifiable. Discussing the privacy considerations & tradeoffs that users described experiencing, and in light of their analysis of profiles’ searchability, the researchers suggest a number of avenues to explore that could help online dating users make decisions around privacy. These could include restricting the number of screenshots a user can take per day, allowing users to disallow remove matches, and, more broadly, implementing privacy awareness campaigns for users. This paper was presented at the 26th International World-Wide Web Conference.